Simply Nerdy Mom: New Disney Gifts for Creatives! New Disney Gifts for Creatives! I don't think I've ever met anyone who didn't at least sort of like something Disney related. Disney is a brand known and loved through out the world over with the most iconic characters recognized through out generations. Give the gift of Disney to your creative die hard Disney nerds this holiday season with these two featured products. I have always loved to draw, and as a matter of fact, I think one of the characters I first tried to draw or learned to draw was Mickey Mouse. Mickey has always been a simple, yet lovable mouse right along side his famous friends Minnie, Pluto, Donald, Daisy, and Goofy. Their styles have changed through the decades, but they all still remain those lovable characters we all grew up with. This year, Mickey Mouse is actually celebrating his 90th birthday, and with that, comes this Mickey Mouse and Friends Through the Decades book. Not only will you learn to draw your favorite characters along with their style and appearance changes through the last 90 years, but this book is also a retrospective collection which includes amazing vintage artwork and little stories and facts about the characters growth and popularity. Cross stitch is coming back as a pretty popular craft. Long gone are the floral and fancy designs that your grandma use to make. Now creatives are making cross stitch projects with just about every character and saying you can think of. This Classic Disney Cross Stitch Creations kit comes with everything you need to make two projects. Whether you are making a pillow, baby bib, wall hanging, or anything else you can come up with, this kit makes it easy and fun. It features characters like Snow White, Winnie the Pooh, Bambi, Donald Duck, Peter Pan, and more. The included instructional booklet comes with 12 patterns to choose from. 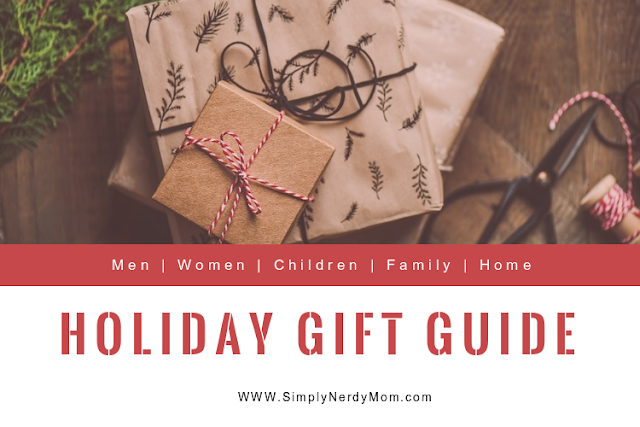 See even more great gift ideas in the 2018 Holiday Gift Guide by clicking the banner below!